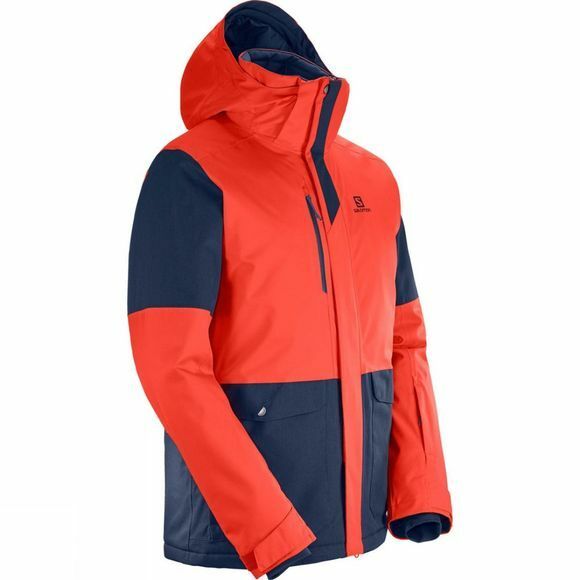 The Mens Stormtrack Jacket from Salomon moves effortlessly between the slopes and the resort. Heathered fabric combined with stretch twill, plus athletic details give it a cool, contemporary feel. Generous patch pockets store phones, keys, and energy bars. 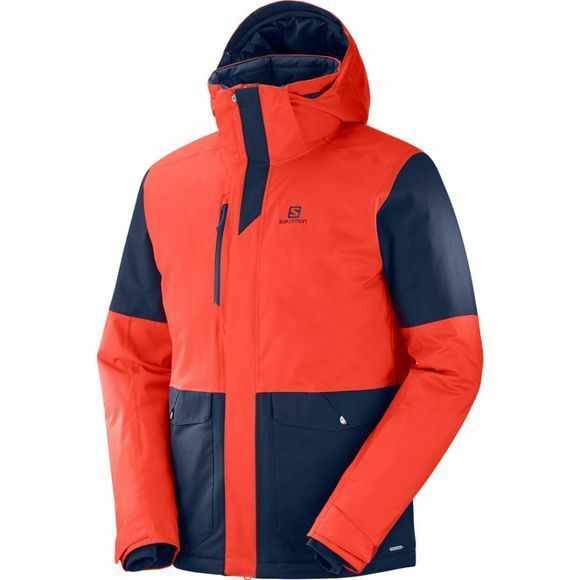 10k/10K waterproof fabric keeps snow and rain out, while AdavancedSkin Warm insulation keeps warmth in.